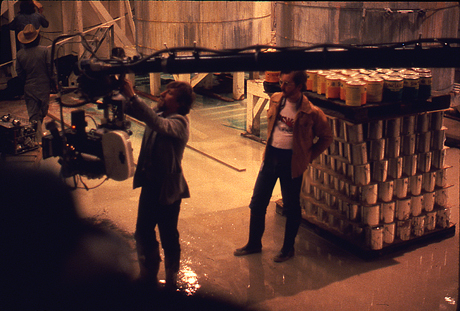 From August 1979 … Savant (on the right) watches the Louma Crane being readied for the shot where the tank smashes through the paint factory in 1941. By my estimation it’s been a great year for disc collectors of old movies. I read one article that claimed that Blu-ray sales went up 57% last year. If it’s true home video Blu-ray discs are growing in popularity even as the general home video market contracts. About two years ago the big studios put the brakes on their vault-library releases, and chose to concentrate mostly on new product, with a few re-packagings of older titles that sold well in the past. The new Burn-on-Demand (actually Manufactured on Demand, MOD) discs have become much more important. The Warner Archive Collection (WAC) now runs its operation in high gear, turning out scores of often fascinating Warner, MGM, RKO and Allied Artists titles that have never been available on home video. Imitating the Warners example, the MGM Limited Edition Collection has been releasing its library with the MOD model as well. Sony/Columbia’s new MOD discs are of a very high quality, from the handful I’ve seen. But the WAC has taken the fore with its constant publicity and discount promotions. The sales pitch appeals directly to disc collectors in a way that standard library releases never did. The WAC also maintains a social media page that dispenses real information to fans, not merely marketing-speak. That’s how a loyal customer base is created. In some ways this “MOD interim” between retail marketing and the prophesized Brave New video World of downloads and streaming is the most fan-friendly era of home video. Sony has seen fit to connect with the WAC to promote their MOD product. Their discs still seem less accessible, and more of an unknown quantity. I do review several MGM MOD discs a month, but the company has no real web presence except its point-of-purchase retail page. Going through the poorly written film descriptions, the average reader won’t be able to spot the many gems hidden in the MGM stack of titles. The synopsis-blurb on Where the River Runs Black reads, “An orphaned boy who was raised in the Amazon Jungle is brought back to civilization by a priest who knew his father.” One wouldn’t know that the movie is a politically & ecologically- minded adventure story with beautiful visuals. 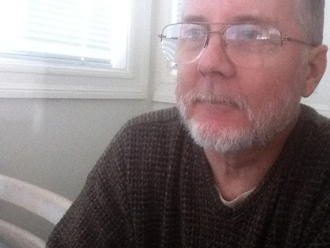 The only printable semi-normal photo of DVD Savant I found this year. Kino / Lorber continues to expand, and is now releasing selected Blu-rays of its best titles. Their Buster Keaton series is a hit, and they’ve just put out a pair of D.W. Griffith greats. Early next year they’ve announced Fritz Lang’s Scarlet Street for Blu-ray. Their BD of the Giorgio Moroder Metropolis straddles the line between Fritz Lang fans, and fans of the re-release’s Disco music score. This year’s big addition to the DVD & Blu-ray boutique labels is Twilight Time, which began by licensing titles that 20th Fox no longer wants to sell directly. Released in limited editions and treated as collector’s items, the discs are sold through one online website that specializes in movie soundtracks. I believe that all the Twilight Time releases to date have carried isolated music score tracks, which gives them a special identity in the marketplace. 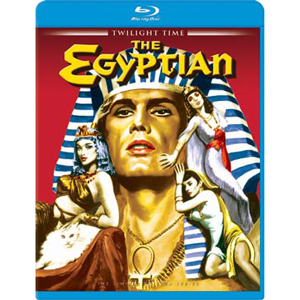 The label surprised us last summer by jumping to Blu-ray with The Egyptian. A couple of months ago it announced that it would also be licensing Blu-rays of Sony/Columbia titles as well, beginning with Picnic. Twilight Time’s choice of titles is very promising: John Huston’s The Roots of Heaven is coming in Blu-ray, and I don’t think it’s ever been out on home video in any form. I’m well aware that the home video landscape is changing. A lot of people, including my own adult children, have stopped buying discs with any frequency. They have their Netflix streaming and various downloading opportunities, but I find that they’re more interested in specific TV shows than exploring old features (my kids are sort of exceptional, as by having to listen to me throughout their lives, they already know a lot about film history). Anyone even aware of older movies tends to be a dedicated fan … younger people who aren’t film fans know next to nothing about famous stars from the past, etc. The Film Student generation is greying; it may be a few years before a new generation “discovers” the magic of older films again. 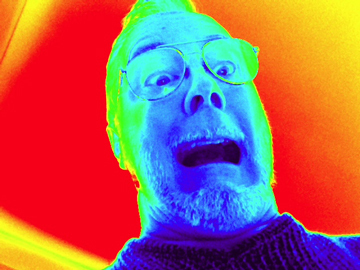 This is more like it … too silly to be embarrassed about. So hang onto your interest in film … I’m far too absorbed by and invested in film history to give it up now. There are too many movies I want to see. Arcane titles continue to pop out of nowhere, that I should have known about long ago. Or at least it seems that way. On to this year’s lists. This year I’m doing my usual sideways shuffle by presenting two lists, not one. My first list of fifteen most personally arresting discs is of course taken from what I’ve seen and reviewed. The new movie I was most impressed with this year is Terrence Malick’s The Tree of Life, and a beautiful Blu-ray has been released of it, but Savant didn’t make the cut for a review screener on that one. That makes my list the usual conglomeration of older attractions. 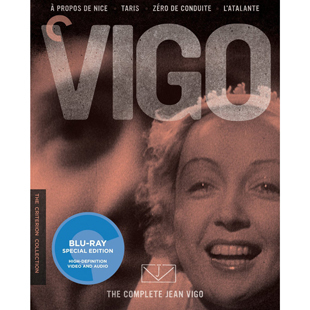 Criterion and The Warner Archive Collection certainly got my attention this year. Not a week went by that those companies didn’t announce some favorite or unseen mystery picture. And I readily confess that some of my choices indeed fall under the critical-hubris category of “pictures I think people should see”. It’s an ill-fated romance between a brooding but brilliant composer and the beautiful, sheltered girl who inspires him to heights of musical delirium. 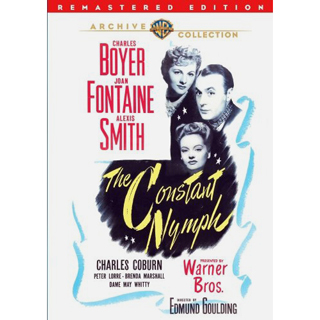 Charles Boyer, Joan Fontaine and Alexis Smith star in a show that’s been kept from view for over 50 years due to tangled legal rights issues. Besides the opportunity of seeing a new film with Peter Lorre, the concerto that serves as the background to the film’s most dramatic scene is composed by the great Erich Wolfgang Korngold. 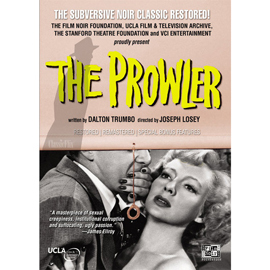 A beautiful restoration of a key film noir not seen in a decent copy for years! Joseph Losey’s brutal critique of American ambition shows a dishonest cop committing murder to inherit a wealthy man’s wife and property, only to be tripped up by his own suspicious instincts. 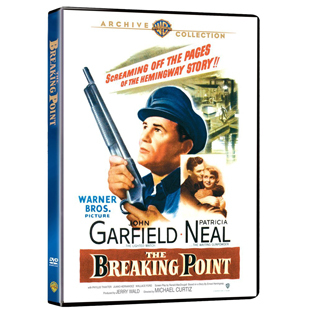 One of the most potent subversive noirs moves from an upscale Los Angeles neighborhood to a bleak climax in the Calico Ghost Town. And remember Susan, the cost of living is going down! Twilight Time floored us with this quality Blu-ray of Fox’s CinemaScope follow-up to The Robe. The impressive and intelligent epic centers, amazingly, on a short-lived cult of monotheism in ancient Egypt. Edmund Purdom is only so-so but Victor Mature and Gene Tierney are quite good, as is the much-maligned Bella Darvi. The magnificent music score (included in an Isolated Track of its own) is by Alfred Newman and Bernard Herrmann. This year’s prize for original-genius filmmaking goes to the Frenchman who made exactly one short film, a short feature comedy and a standard-length feature romance: À propos de Nice, Zéro de conduite, L’atalante. Each is a surreal masterpiece in a different style. The final feature has been hailed as one of the most romantic pictures of all time. I’ve been put to sleep by some previous Ken Burns docus, so it must be the choice of subject matter that makes the difference here. In three fast hours this show knocks us out with the story of the strangest social experiment in the nation’s history, in all its fascinating complexity. By the time we get to the Roaring Twenties, bootleggers and gangsterism, we’re absorbed in a true story that seems too wild to be real. 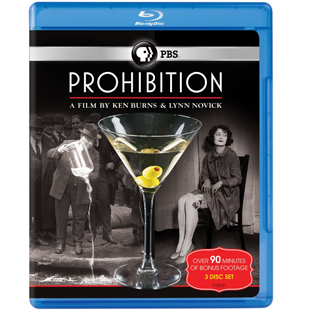 It’s all vividly illustrated with quality of stills and beautifully restored film clips. Michael Curtiz directs John Garfield and Patricia Neal in one of the best noir thrillers from the beginning of the second noir wave, when dark shadows gave way to dark ideas on how “the system” works against ordinary people. Garfield is a corruptible tour boat owner in a subversive version of “To Have and Have Not”: frustrated dreams and economic oppression lead to crime. An almost perfectly-filmed Warners show that keeps its politics just below the surface. A familiar noir landmark with a jaw-droppingly dense dialogue script, delivered by Burt Lancaster and Tony Curtis, talents that can pull the most out of a cruel or threatening phrase,. 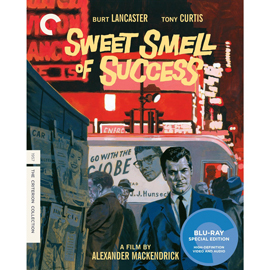 It’s here on the list because of Criterion’s incredibly good-looking transfer, and a set of extras that delves into the real “Broadway Beat” world of columnists and careers in New York of the ’40s and ’50s. The relatively new label Rarovideo scores with a superior Italian drama that was a big hit in 1960 Italy but never widely released here. America could handle the happy hookers of Never on Sunday but not Antonio Petrangeli’s sad story of a group of Roman prostitutes who dare try to open a restaurant after bordellos are made illegal. The cast is remarkable: Simone Signoret, Sandra Milo, Emmanuelle Riva, Gina Rovere, Marcello Mastroianni. Never written up in the art-film books, this one may last longer in your memory than the average Antonioni angst epic. Critics and the public shunned its “immorality” in 1970, but John Huston’s saga of a high-powered spy mission to Moscow is a super-taut, demandingly complex thriller that slams the door on the ’60s superspy craze. 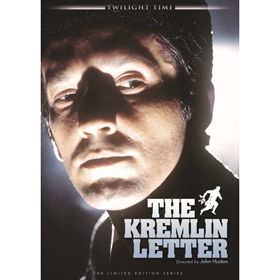 A team of agents (Patrick O’Neal, Richard Boone, Barbara Parkins, George Sanders, Nigel Green, Dean Jagger) penetrates several levels of Soviet secret police. They perform their jobs well, but things go terribly wrong anyway. With Bibi Andersson, Max von Sydow and Orson Welles. Sam Fuller put his own money behind his ideals to make his most personal film, a tale of the New York newspaper business in the 1880s. It shapes up as a supremely patriotic valentine to the (endangered) profession of journalism. Tough guy Gene Evans puts together his own tabloid paper and uses the power of its voice to raise funds to finish the Statue of Liberty. He also must fight the efforts of another publisher to put him out of business. Looking for a positive movie about America? This is the one. 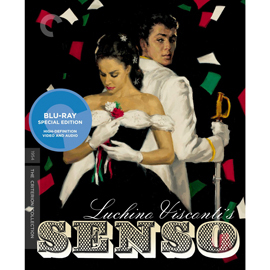 Luchino Visconti’s first foray into big screen & color epic-making takes us to the middle of the Italian risorgimento, where a married Venetian beauty (Alida Valli) falls in love with an officer (Farley Granger) from the occupying Austrian Army. She sacrifices everything for him, only to discover that both his love and promises are hollow… The period reconstructions are nothing short of amazing, as is the film’s operatic story arc. 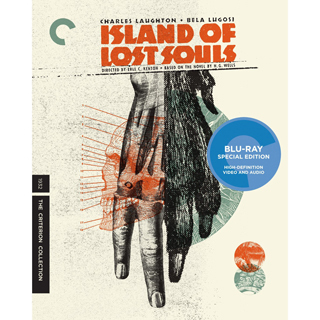 I’ve only seen this one before in mangled, blurry prints, and Criterion’s colorful rendition is a big improvement. 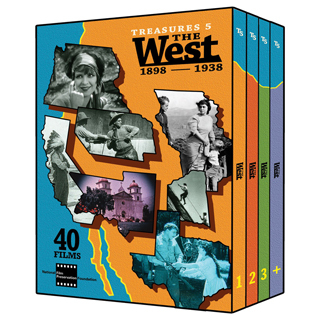 The National Film Preservation Foundation graces us with a fifth volume in its encyclopedic series of Treasures from American Film Archives, this time focusing on “The West”. The frontier closed just as motion pictures were coming into being, and the three-disc set contains plenty of early fiction western films including several rare features. But a second thread gathers films about the exploitation of the West and its resources, from tourism to its mighty rivers. The ‘Wild West’ becomes the New West in newsreels showing land work during the New Deal and a California lawman attempting to close the state border, to keep out Oakies in search of work. The ambitious boutique label Severin scores with a popular thriller previously available only in really inferior copies — Eugenio Martín and Bernard Gordon’s Pánico en el transiberiano. The smart Spanish production traps Christopher Lee, Peter Cushing, Telly Savalas and an odd cast of suspects on an isolated Siberian train, facing a monster that combines horror and sci-fi elements. Best of all, the show has a sense of humor and genre heroes Lee and Cushing play heroes, not villains. I include Gregory LaCava’s terrific little drama as the most compelling of the unseen riches to be found at the WAC. Ginger Rogers is a Cannery Row teen growing up with the fact that her father is an alcoholic and her mother lives off the “kindness of gentlemen”. 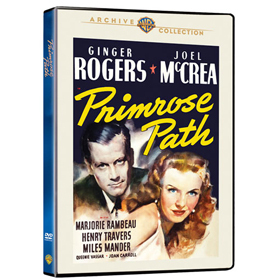 Rogers’ character falls in love with Joel McCrea’s hash slinger and happiness is in sight until… It’s fairly amazing how a 1940 movie could get this subject past the censors, and then come up with something so honest and open. A 1970s remake would stress all the wrong elements, and miss this film’s special sweetness. And 2011 bites the dust! Next year we have promises of attractive new Blu-rays, including Severin’s promised HD domestic release of Savant favorite Zulu Dawn. I’m hoping to hear a date for that one soon. Universal leaked a proposed 2012 schedule about a month ago, some of which has already leaped from rumor to ‘almost firm’, in particular Jaws. I’m sure that plenty more surprises will be coming — and I’ll be trying to review them. The publishers say it is selling ‘briskly’ … we’ll see what that means later!